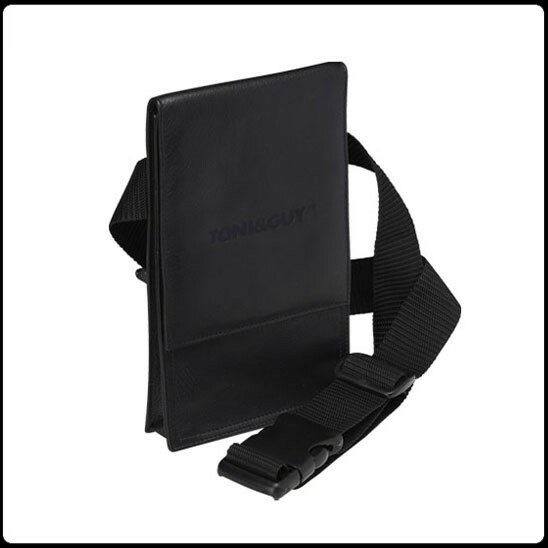 The TONI&GUY branded scissor and comb pouch is made of high quality leather for a premium finish. The pouch comprises of one main pocket, with three smaller pockets that are ideal for scissors or combs and a zip pocket that's perfect for grips. The TONI&GUY branded scissor and comb pouch is made of high quality leather for a premium finish. The pouch comprises of one main pocket, with three smaller pockets that are ideal for scissors or combs and a zip pocket that's perfect for grips.